Trinity's Youth Ministry is an open and welcoming place where you can truly be yourself. We look deeply together at how God is calling us to live and be in the world by discovering how to live into our true and authentic self. We are called to remember who we are at the heart of our being, a unique manifestation of the Divine, loved by God exactly the way we are. Spiritual growth is the most important aspect of Youth Ministries as we grow in faith together on our spiritual journey. 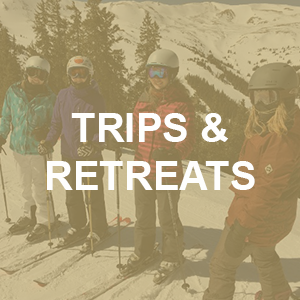 Sunday School classes, youth group, retreats, camp, and mission trips are all key to spiritual growth as we each experience God in different ways. Fellowship, service, and ministry are areas in which you will find the youth involved as well. 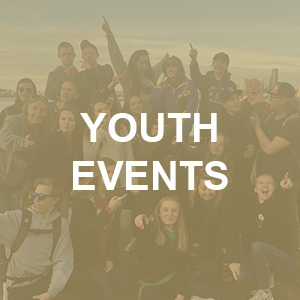 Youth volunteer at Vacation Bible School, host a Valentine's Party at the Olin Hotel, serve a monthly Burrito Breakfast and an Easter Pancake Breakfast, sing in the Youth Choir , and play in the Youth Bell Choir. 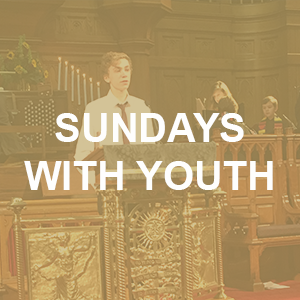 They also plan and lead Youth Sunday each fall.